Below you fill find all funeral homes and cemeteries in or near Nixa. Nixa is also known as: Christian County / Nixa city. Zip codes in the city: 65714. Some of the notable people born here have been: (mickey owen). Nixa is a city in Christian County, Missouri, United States. As of the 2010 census, the city population was 19,022. 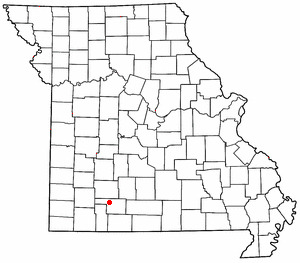 It is part of the Springfield, Missouri Metropolitan Statistical Area. It was revealed by Bell Banner on April 11th, 2018 that Joel Brady Milligan passed away in Nixa, Missouri. Milligan was 48 years old. Send flowers to share your condolences and honor Joel Brady's life. It was written by Current Local on January 4th, 2018 that Franklin Delano "Brownie" Smith died in Nixa, Missouri. Smith was 85 years old and was born in Black Rock, AR. Send flowers to express your sympathy and honor Franklin Delano "Brownie"'s life. It was revealed on November 4th, 2017 that Marilyn Beth Mathews (Oyer) passed away in Nixa, Missouri. Ms. Mathews was 65 years old and was born in Dodge City, KS. Send flowers to share your condolences and honor Marilyn Beth's life. It was reported on October 15th, 2017 that Darrell Depue perished in Nixa, Missouri. Depue was 87 years old. Send flowers to express your sympathy and honor Darrell's life. It was reported on August 17th, 2017 that Fred H Kirchhoefer passed away in Nixa, Missouri. Kirchhoefer was 81 years old and was born in New Athens, IL. Send flowers to express your sympathy and honor Fred H's life. It was written on August 6th, 2017 that William "Bill" Buus passed away in Nixa, Missouri. Buus was 72 years old and was born in Grundy Center, IA. Send flowers to share your condolences and honor William "Bill"'s life. It was revealed by Daily Press on April 11th, 2017 that Bonnie M Mangrum (Blevins) passed away in California. Send flowers to express your sorrow and honor Bonnie M's life. It was reported on November 21st, 2016 that Robert Allan Lancaster perished in Nixa, Missouri. Lancaster was 78 years old and was born in Maquoketa, IA. Send flowers to share your condolences and honor Robert Allan's life. It was reported on September 4th, 2016 that James G Dale died in Nixa, Missouri. Dale was 62 years old and was born in Atchison, KS. Send flowers to share your condolences and honor James G's life. It was reported by The Times at Shreveport La on June 19th, 2016 that Loavia Ann Clanton (Williams) died in Shreveport, Louisiana. Ms. Clanton was 82 years old and was born in Nixa, MO. Send flowers to express your sorrow and honor Loavia Ann's life. Some of Inman's family members are buried at Patterson Cemetery, located just off Hwy. It is part of the Springfield, Missouri Springfield, Missouri Metropolitan Area Statistical Area. Nixa was named after Nicholas A. A great-great-grandnephew of Inman's was elected mayor of Billings, Missouri. The first four letters in Nicholas' name are added to his middle initial, which is A, hence the city name: Nixa. Many of the family members still live in this area, in towns like Billings, Republic, and Springfield. The official website for the city of Nixa is https://www.nixa.com/. Visitation will be 4 to 8 p.m. today at McCombs Funeral Home and Cremation Center in Jackson, and 9:30 a.m. to service time Saturday at Zion United Methodist Church of Gordonville. The funeral will be at 10:30 a.m. at the church, with the Rev. Joel Kidwell officiating. The funeral service for 107-year ... one son: Charley Neal (Virginia) Beard of Paris; and four grandchildren: Stephen (Amy) Penick of Nixa, Mo., John Mark (Rebecca) Penick of Yelm, Wash., Charley N. Beard Jr. of Cookeville and Robert G.
Listing all funeral homes in Nixa, Missouri so you can easily send flowers to any location (same day delivery) or find any funeral service. adams funeral home in Nixa, MO 65714 on Yahoo! Local Get Ratings & Reviews on adams funeral home with Photos, Maps, Driving Directions and more. Find BBB Accredited Funeral Directors near Nixa, MO - your guide to trusted Nixa, MO Funeral Directors, recommended and BBB Accredited businesses. We work with local florists and flower shops to offer same day delivery. You will find budget sympathy flowers in Nixa here. Our funeral flowers are cheap in price but not in value.